We also know that the counties where most federal bureaucrats reside are now, according to CNSNews.com, the richest region of the entire nation. This five-fold gap is staggering. I have lots of friends who work for the federal government. Most privately confess that they know they are making out like bandits. I think I’ll send this chart to the few holdouts. P.S. 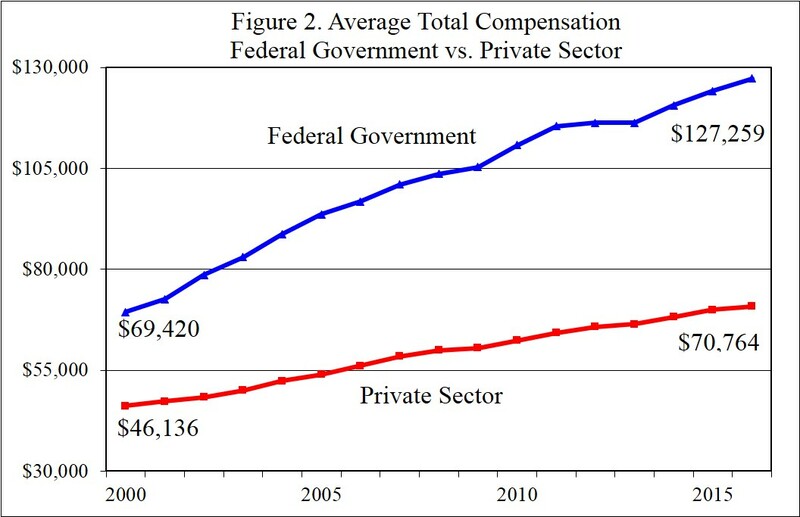 I’m much more interested in shrinking government rather than shrinking pay levels. 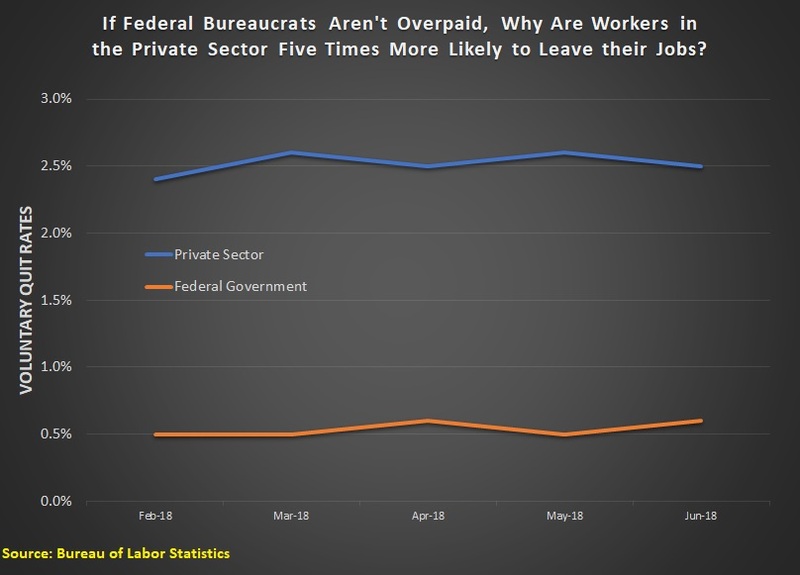 The correct pay for bureaucrats at the Departments of Transportation, Housing and Urban Development, Education, Energy, and Agriculture is zero. Why? Because these bureaucracies shouldn’t even exist.